(PHILADELPHIA) — The natural molecule, n-acetylcysteine (NAC), with strong antioxidant effects, shows potential benefit as part of the management for patients with Parkinson's disease, according to a study published today in the journal PLOS ONE. 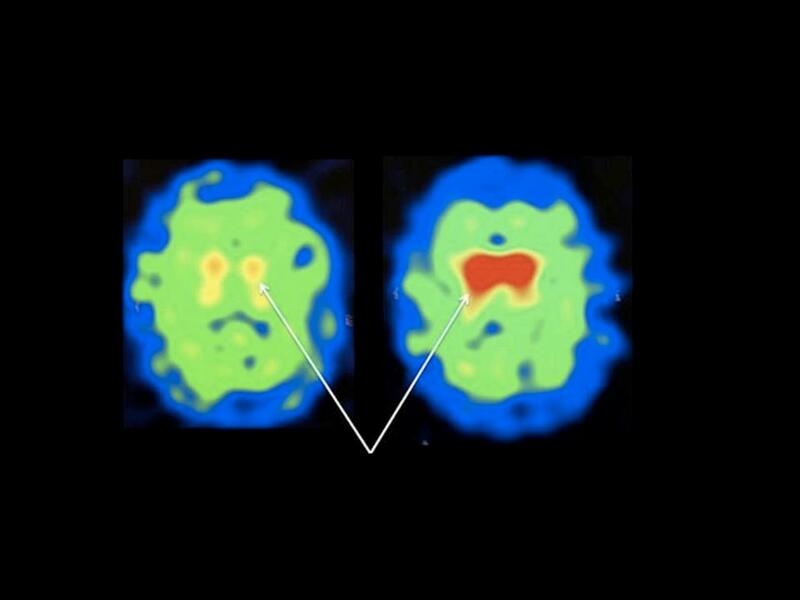 Combining clinical evaluations of a patient's mental and physical abilities with brain imaging studies that tracked the levels of dopamine, the lack of which is thought to cause Parkinson's, doctors from the Departments of Integrative Medicine, Neurology, and Radiology, at Thomas Jefferson University showed that patients receiving NAC improved on both measures. Current treatments for Parkinson's disease are generally limited to temporarily replacing dopamine in the brain as well as some medications designed to slow the progression of the disease process. Recently, researchers have shown that oxidative stress in the brain may play a critical role in the Parkinson's disease process, and that this stress also lowers levels of glutathione, a chemical produced by the brain to counteract oxidative stress. Studies in brain cells showed that NAC helps reduce oxidative damage to neurons by helping restore the levels of the antioxidant glutathione. NAC is an oral supplement that can be obtained at most nutrition stores, and interestingly also comes in an intravenous form which is used to protect the liver in acetaminophen overdose. "This study reveals a potentially new avenue for managing Parkinson's patients and shows that n-acetylcysteine may have a unique physiological effect that alters the disease process and enables dopamine neurons to recover some function," said senior author on the paper Daniel Monti, M.D., M.B.A., Director of the Myrna Brind Center of Integrative Medicine, and the Brind-Marcus Center of Integrative Medicine at Thomas Jefferson University. In this study, Parkinson's patients who continued their current standard of care treatment, were placed into two groups. The first group received a combination of oral and intravenous (IV) NAC for three months. These patients received 50mg/kg NAC intravenously once per week and 600mg NAC orally 2x per day on the non IV days. The second group, the control patients, received only their standard of care for Parkinson's treatment. Patients were evaluated initially, before starting the NAC and then after three months of receiving the NAC while the control patients were simply evaluated initially and three months later. The evaluation consisted of standard clinical measures such as the Unified Parkinson's Disease Rating Scale (UPDRS), a survey administered by doctors to help determine the stage of disease, and a brain scan via DaTscan SPECT imaging, which measures the amount of dopamine transporter in the basal ganglia, the area most affected by the Parkinson's disease process. Compared to controls, the patients receiving NAC had improvements of 4-9 percent in dopamine transporter binding and also had improvements in their UPDRS score of about 13 percent. "We have not previously seen an intervention for Parkinson's disease have this kind of effect on the brain," said first author and neuro-imaging expert Andrew Newberg, M.D., Professor at the Sidney Kimmel Medical College at Jefferson and Director of Research at the Myrna Brind Center of Integrative Medicine. The investigators hope that this research will open up new avenues of treatment for Parkinson's disease patients. This study was funded by a gift from the Marcus Foundation. The authors report no conflicts of interest. Article reference: DA Monti, et al., "N-Acetyl Cysteine May Support Dopamine Neurons in Parkinson's Disease: Preliminary Clinical and Cell Line Data," PLOS ONE, DOI: 10.1371/journal.pone.0157602, 2016.